You've recorded, mixed and mastered your music. The next step is to have it made into a CD that you can sell. With so many choices of manufacturers out there, how do you decide what you want? How Many CDs Do You Need? As you research, you'll discover that the minimum run most manufacturers will consider is 500. That doesn't seem like many on paper, but when you see the boxes delivered to your kitchen, you'll appreciate it's quite a few. There are places that will deliver smaller quantities, but the price per unit increases; sometimes to the point where it's hardly viable to have them made (it might be just as easy to run them off on your computer at home). The big price break occurs when you order 1,000 copies or more. But unless you're fairly certain you can sell them, it's a surprisingly large (and bulky) number. 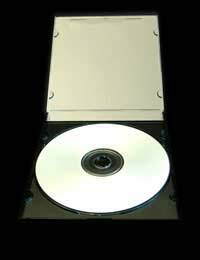 There's more to making a CD than just replicating the music onto blank discs. The manufacturer also has to co-ordinate your artwork for the booklet, the tray insert, and onto the disc itself. There's also checking the disc you send them, and making sure it's "redbooked" (with correct spacing between the tracks and track ID) - which it should be if it's been fully mastered. Under most circumstances, a CD manufacturer will not only send you the discs you've ordered, but a "glass master" reference disc that can be used if you need to order more copies. You'll find that the process will invariably include a number of phone calls, clarifying what you need and what they can do. As you talk to different manufacturers, you'll discover their services - including how long it takes before they can deliver your project - and their prices. Almost everyone offers a package, including the cost of delivery to your door. What you need to establish is exactly what you want, and then compare apples to apples. Depending on other factors, you may also need your disc redbooked (usually another £30 or so). Ask for references. Most manufacturers will be glad to give you names and numbers of clients with whom you can check. Make sure you do; they can advise you of any problems, and probably offer extra tips on issues you hadn't considered. What you'll generally find is that most quotes will fall inside the same general area. If one place quotes an especially low price, or offers far more services for the same price, be very wary. Most manufacturers don't have to tout for business. You should ask for a copy to hear before the manufacturing process goes ahead. Most companies will provide one without being asked. It's more than a courtesy, it's a final check before the last stage, and addresses any problems that might occur - on both sides of the transaction. Many companies include the cost of delivery in their package price; some don't. Always check, because it can easily add another £40-50 to the cost. 500 CDs take up five bulky boxes, and weigh a fair amount (within each box are four smaller boxes, each containing 25 CDs). Very little in life will beat the feeling of unwrapping, opening and playing your own CD. It's the knowledge that you created this. Almost invariably, though, as you listen you'll hear things you'll wish you'd done differently. But enjoy what you have. If time is a factor, make sure you arrange everything with your manufacturer well in advance. You generally need to allow two weeks for the process (although the actual manufacture itself only takes a day), so be aware of that going into things.